Second level condo with open floor plan for living room and dining room, accented by a gas fireplace & built-in shelving. Already painted with #1 color of the year, Sea Salt! Wonderful set up for entertaining. New carpet October 2017. Covered porch. 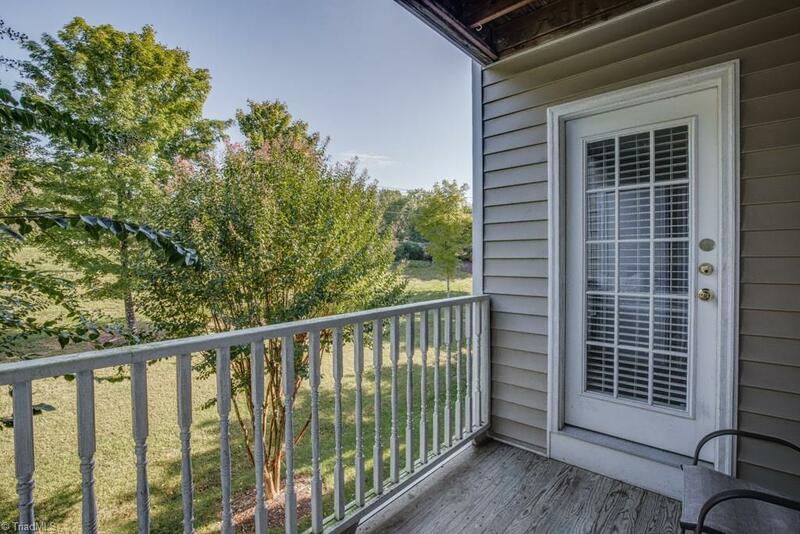 Neighborhood has a community pond and grassy common areas and is an easy walk to the Muddy Creek trail. Close to shopping centers, restaurants & schools. Only 5 miles to Wake Forest University. Sold by The Real Estate Works. Listing information © 2019 Triad MLS, Inc. All rights reserved. Listing provided courtesy of Realty One. Information deemed reliable but not guaranteed.